This week, the Fed predictably left interest rates unchanged. But lost in the announcement was this shocker: Could they actually move to negative interest rates? 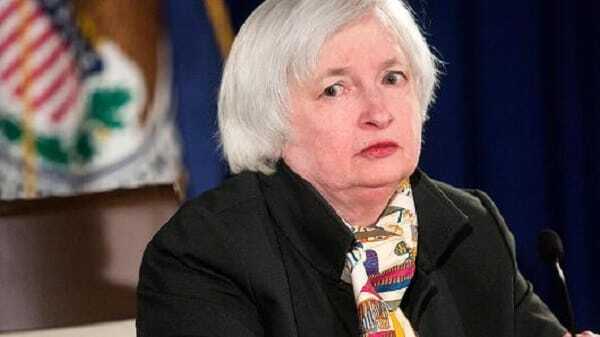 On Thursday, the Federal Reserve announced that it will leave interest rates as is, right near zero percent. Fed Chair Janet Yellen cited recent volatility in markets and uncertainty overseas as reasons to hold off from a rate hike. Since December 2008, the Federal Reserve has lowered the interest rate to a record low 0.25% as part of its ongoing ’emergency monetary policy’. This zero interest rate policy (ZIRP) was introduced as a means to help the economy recover following the devastation of the 2008 Global Financial Crisis. 80 months later – despite countless proclamations from government officials that the economy is improving – we still have the ZIRP strategy in play! Plus, during that same time frame, the federal debt has doubled from $10 trillion to over $18 trillion. You would think that after the Fed has flooded our system with all those trillions of dollars and kept rates at record lows, things would be improving. But no: Our near-zero interest rates continue. You would ALSO think that the policy makers at the Fed would be having some serious second doubts as to the wisdom of their policies from the last seven years. But no! In fact, one of them is now calling for negative interest rates. With negative interest rates, for all the money you have saved in a bank account, you would no longer receive interest. Instead, you would essentially be paying for the “privilege” to store your money there. If global economic conditions continue to deteriorate, can we expect more policy makers to also push for negative rates? Right now, it’s anyone’s guess as to whether interest rates will actually dip into negative territory. What is clear, however, is that all this talk from Washington about an economic recovery is complete nonsense and propaganda that is meant to subdue the masses; it’s practically out of Orwell’s 1984, in which people were told the economy was growing when they all knew it was the opposite. If we were REALLY undergoing an economic recovery, the Fed would have raised interest rates. But of course that isn’t the case, so they can’t even raise rates to 0.5% without the World Bank and IMF issuing warnings that it could collapse equity markets, and with the World Bank going as far as to say it would create “panic and turmoil” in the markets. But what about the reverse of a rate hike? If we see a further downturn around the globe and at home, what if the Fed actually sent rates into negative territory? Should the economy continue to plod along – as it appears it will – the only ‘available tools’ left for the Fed is to loosen monetary policy even further by sinking interest rates into negative territory and/or unleashing more Quantitative Easing (QE4) onto the system. If you too believe that the Federal Reserve is up a creek without a paddle, if you too are concerned of the “panic and turmoil” that the World Bank is cautioning, then it might be time to protect at least some of your savings with precious metals. The Fed is undermining the dollar. Watch what Steve Forbes has to say about it here.